With the recent hurricane in North Carolina, our minds and hearts are with all those who suffered, and are still suffering, through the aftermath. The days and weeks after a disaster can be hard. Everyone who sees, hears about, or experiences the disaster, is affected in some way. It is natural to worry about your own safety and the safety of your loved ones. Many questions go through our heads… Am I prepared if a disaster were to hit where I live? If I’m not prepared, how can I get prepared? How can I show my support to those who were affected by a disaster? Food insecurity is best defined as the state of being without reliable access to a sufficient quantity of affordable, nutritious food. 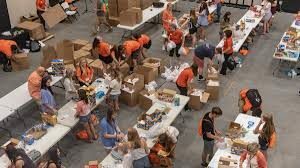 In the article, Factors Associated with Continued Food Insecurity among Households Recovering from Hurricane Katrina, the researchers identify groups that are most affected by food insecurity and what can be done to help reduce continued food insecurity, especially in the wake of a large natural disaster. Food insecurity is most prevalent in households with children, headed by a single adult. Other identifying characteristics of a food insecure household include: low income, minority, poor physical and mental health, weaker social ties and emotional support, changes in housing or income stability, or live in the southern United States. Sadly, children that live in food insecure households are also at a heightened risk for adverse physical and mental health consequences, such as behavioral problems, lower educational achievement, psychosocial dysfunction, depressive symptoms, suicidal symptoms, anxiety, and chronic health conditions. “Food insecurity remains high in the United States, due at least in part to the lack of understanding about the causes of food insecurity and lack of evidence for effective policy and program solutions.” Fortunately, however, there are a number of assistance programs to increase nutritious food intake among those at risk, such as the Special Supplemental Feeding Program for Women, Infant, and Children (WIC), the Supplemental Nutrition Assistance Program (SNAP), and the National School Lunch Program (NSLP). 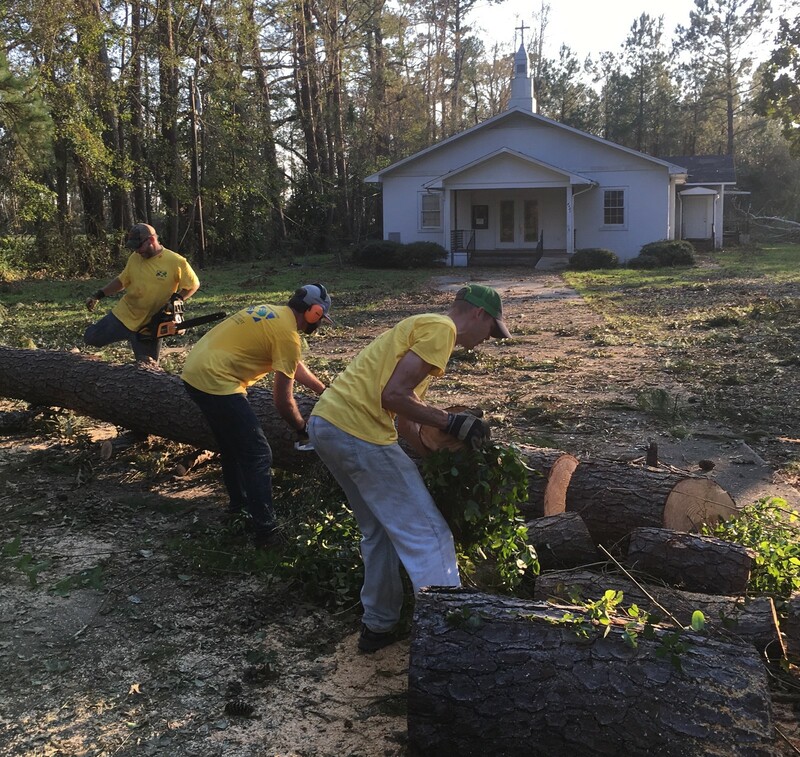 Following Hurricane Florence, many groups have extended themselves and are doing all they can do to assist in the recovery efforts. NC Disaster Information Center has published some great preparedness fact sheets to help take you through the thought process of what you can do to prepare for a natural disaster, along with some recovery fact sheets to aid you when you return to your house after a disaster has occurred. NC Food Safety is a fantastic resource for disaster preparedness and provides great resources for how to handle food when a disaster strikes. Included in this website are multiple fact sheets focusing on food and water safety during and after a disaster. 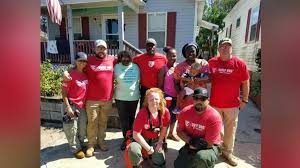 NC Department of Health and Human Services also has a wonderful website outlining what to do to prepare yourself for an emergency, including many coping and emotional support brochures and handouts, and volunteer opportunities to help in the disaster relief efforts. Calling your local health department or extension office for support and questions is a great resource as well! If after Hurricane Florence you are in need of assistance, please check one of the primary disaster relief sites for food, water, and supplies. Also, a list of authorized emergency shelters can be found here and information on disaster unemployment assistance can be found here and here. Donate Funds: Donate on the Food Bank website. Checks can be mailed to 1924 Capital Blvd., Raleigh, NC 27604. Donate Food: Food donations are accepted at Food Bank distribution centers in Durham, Raleigh, New Bern, Greenville, Sandhills/Southern Pines and Wilmington – or online via our Virtual Food Drive. Whether your are one that needs assistance, or one that can help provide welfare, we hope that you are blessed in your efforts!